The Protagonist, heir to both the Imperial Throne and her family's martial arts style. A girl eager to prove herself as both a future leader and fighter to her mother, the Empress. Aya's cousin and a fellow princess. She is renowned for her beauty and talent in the magical arts. She doesn't take her position seriously and prefers to indulge in pleasure instead of studying or training. The head Magi of the Palace. He was adopted into the Imperial family as a preteen and has been close to Aya ever since. He is a scholar at heart and longs to learn more about their world. A lesser member of the nobility, she ran away from her estate in search of martial arts adventure. She winds up at the Palace where she is allowed to stay. The son of a foreign warlord. He and his crew claim to have traveled to Zhu seeking allies for their war. Many secrets hide behind his feminine eyes. A loyal retainer for the Imperial family and one of the Empire's most respected warriors. She is seen by Aya as an aunt of sorts, someone always looking out for her that she can turn to. Aya's loyal bodyguard and best friend. She is the daughter of Dokura. Despite living in the palace she has a reputation as a thug and spends a lot of her free time dealing with low-lifes and delinquents. A Tribal monster hunter obsessed with mastery of the cooking arts. She comes to the palace to craft a legendary dish for the Empress. A three eyed blacksmith from a far away land. She travels to the Empire to discover new materials as well as bring back information for her people. Her mystical eye make her an extraordinary blacksmith. 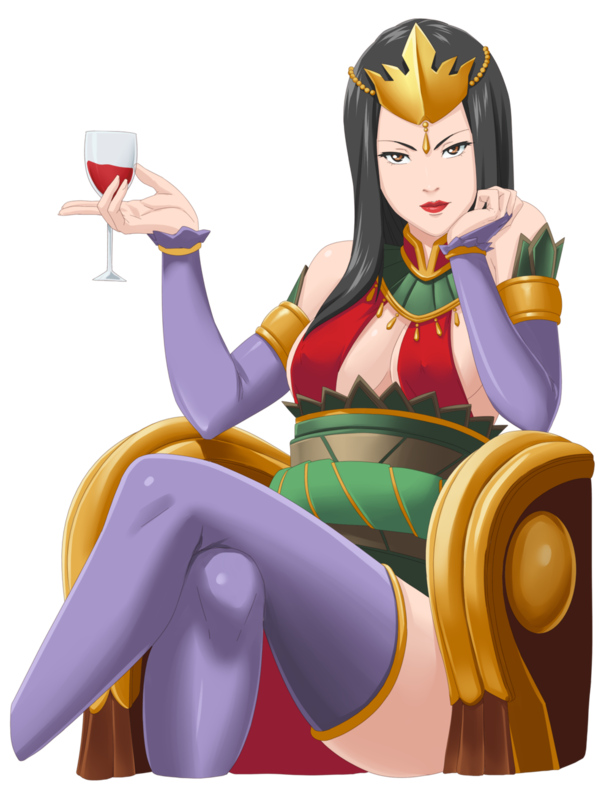 The Empress, Aya's mother and the absolute ruler of their people. She is loved as a living representation of Zhu tradition and feared for the swift and harsh punishment that tradition demands. For better or worse every action she makes is part of a legacy she will leave behind for Aya someday.